The Supreme Court of Canada won't hear the appeal of a Toronto police officer convicted of attempted murder in the shooting death of teenager Sammy Yatim aboard a streetcar five years ago. In a decision issued Thursday morning, the country's top court denied Const. James Forcillo leave to appeal both his conviction and his sentence. In an unusual verdict, a jury acquitted Forcillo in 2016 of second-degree murder but convicted him of attempted murder in connection with Yatim's death aboard the Dundas streetcar on the night of July 27, 2013. Forcillo was sentenced to six years in jail — one year above the mandatory minimum for attempted murder. 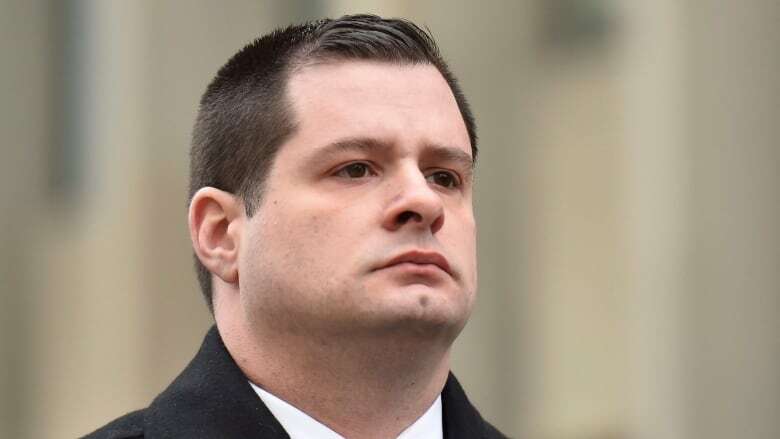 The attempted murder conviction was connected to a second volley of shots Forcillo fired after Yatim was on the floor of the streetcar and dying. Forcillo's lawyers were hoping to argue to the top court that the first and second volleys of shots should not have been divided into separate events. They were also hoping to appeal Forcillo's sentence. One of Forcillo's three lawyers, Michael Lacy, was in court Thursday but issued a brief statement over Twitter. "Mr. Forcillo exercised his right to ask the [Supreme Court] to grant him leave to appeal. The Court declined to do so this morning. We respect that decision," Lacy tweeted. "This ends the legal proceedings and Mr. Forcillo will now continue to serve out his sentence." Forcillo was one of the first officers to respond to a call about a young man exposing himself on the streetcar while brandishing a knife. Only Yatim was left on the streetcar by the time police had arrived. Forcillo fired an initial three shots, which caused Yatim to fall to the floor of the streetcar, then fired six more shots. The Crown separated the two volleys into two separate charges: the second-degree murder charge was related to the first volley of shots, and the attempted murder charge was for the second. Forcillo was convicted for the latter. ​In April, the Ontario Court of Appeal dismissed Forcillo's appeal of both his conviction and his sentence. Earlier this year, Forcillo had six months added to his sentence after pleading guilty to perjury. He was out on bail pending his appeal in November 2017 when police learned he was living at the home of his fiancée and not with his ex-wife, as he was supposed to. He was charged with breaching bail, perjury and attempting to obstruct justice. When he pleaded guilty to perjury, the other charges were dropped. Yatim's shooting death was caught on video, which circulated widely and sparked a national discussion about use of force by police. In 2016, Ontario ombudsman Paul Dubé issued a scathing review of police training in Ontario after examining 19 fatal police shootings during the period between Yatim's death and the release of his report. Dube called for officers to get better training in de-escalation techniques, saying they need more instruction in how to use their mouths, not their guns. When he released his report, Dube noted there were already more than 100 coroner's jury recommendations calling for improved police training in the province, in addition to some 84 recommendations issued by former Supreme Court justice Frank Iacobucci that included the creation of a police and mental-health oversight body, and a requirement that new constables complete a mental health first-aid course.